Klamath Falls News LIVE - We tell the news and stories of Klamath Falls and the Klamath Basin. News, Weather and Sports. Local, Regional and Oregon News. Community, education, farm & ranch, government, outdoors, photo stories, public safety. Klamath Falls News - Locally owned news brand, reporting stories affecting citizens of the Klamath Basin. SALEM - ODOT is joining with the National Highway Traffic Safety Administration during National Teen Driver Safety Week (October 15-21) to encourage parents to talk to their teen drivers about the rules of the road. Motor vehicle crashes are the leading cause of death for teens in the United States – ahead of all other types of injury, disease or violence. In Oregon over the past five years (2012 – 2016), 52 teen drivers age 15 – 17 were involved in fatal crashes, leading to 56 deaths and hundreds of serious injuries. Across the country in 2015, 1,730 teens died in vehicle crashes where a teenager was the driver (another 2,207 people also died in those crashes). No drinking and driving, no impairments at all. All teens are too young to legally buy, possess, or consume alcohol, but they are still at risk. Nationally in 2015, almost one out of five teen passenger vehicle drivers involved in fatal crashes had been drinking. Remind your teen that driving under the influence of any impairing substance, including illicit and prescription drugs or even over-the-counter drugs, could have deadly consequences and is strictly enforced. Buckle Up—every trip, every time. Everyone—front seat and back. Wearing a safety belt is one of the simplest ways for teens to stay safe in a vehicle and it is required in all 50 states. Yet too many teens are not buckling up, and neither are their passengers. In 2015, 531 passengers died in a car, truck, or SUV driven by a teen driver, and 58 percent of those passengers were NOT buckled up at the time of the fatal crash. Even more troubling, in 84 percent of cases when the teen driver was unbuckled, the passengers were also unbuckled. Remind your teen that it’s important to buckle up on every trip, every time, no matter what – front seat and back. “Hands on the Wheel, Mind on the Road.” All the time. Distractions while driving are more than just risky: they can be deadly. In 2015, among teen passenger-vehicle drivers involved in fatal crashes, 10 percent were reported as distracted at the time of the crash. Remind your teen about the dangers of texting and using a phone while driving – talk about how to Drive Healthy. Distracted driving isn’t limited to cell phone use; other passengers, audio and climate controls in the vehicle, and eating or drinking while driving are all examples of dangerous distractions for teen drivers. Follow the posted speed limit. Speeding is a critical issue for all drivers, especially for teens. In 2015, almost one-third (29 percent) of teen passenger vehicle drivers involved in a fatal crash were speeding at the time of the crash. Remind your teen to always drive within the speed limit. Passengers – should you have them? Passengers in a teen’s car can lead to disastrous consequences. According to data analyzed by NHTSA, teen drivers were 2.5 times more likely to engage in one or more potentially risky behaviors when driving with one teenage peer, when compared to driving alone. The likelihood of teen drivers engaging in risky behaviors triples when driving with multiple passengers. Avoid driving tired. Teens are busier than ever – studying, extracurricular activities, part-time jobs, and spending time with friends are among the long list of things they do to fill their time. However, with all of these activities, teens tend to compromise something very important: sleep. This is a dangerous habit that can lead to drowsy driving. Make sure your teen gets a good night’s sleep; their grades, their friends, their passengers, and other drivers will thank them because they’ll be a safer driver. Surveys show that teens whose parents set firm rules for driving typically engage in less risky driving behaviors and are involved in fewer crashes. 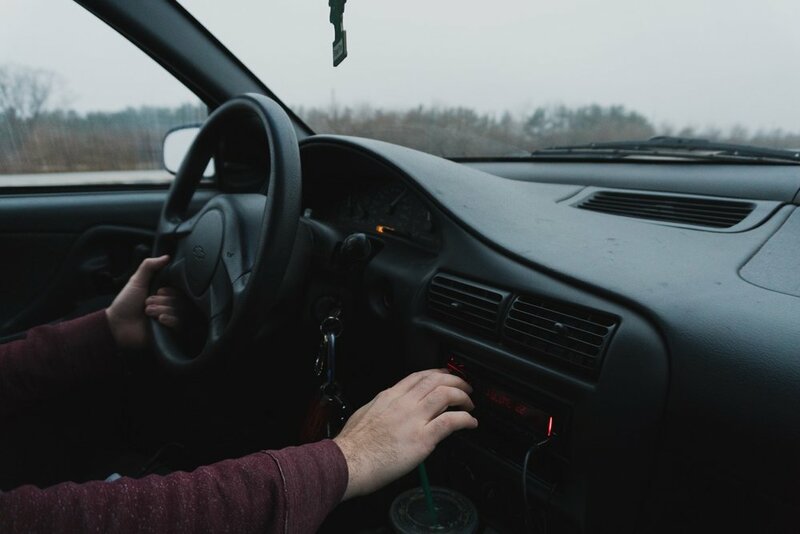 Explaining the rules and any other restrictions outlined in Oregon’s graduated driver licensing law and the deadly consequences of unsafe driving practices can help encourage teens to exhibit safe driving behaviors. For more information on driver education, go to www.whydrivewithed.com. For more information about National Teen Driver Safety Week and safe driving tips for your teens, please visit www.nhtsa.gov/road-safety/teen-driving. To participate in ongoing conversations with other parents and teen drivers, visit our Driver Education Facebook page. Watch some brief videos on the reasons why teens should take an ODOT-approved driver education course. Klamath Falls News - Providing quality news and telling stories of Klamath Falls and the Klamath Basin. Klamath Falls News provides all sides an equal opportunity to tell their story for unbiased reporting. If you have a story to tell send us a note through our contact page. Klamath Falls News, does not support or endorse any one side of an issue, candidate, viewpoint, or opinion from any person, organization or political group/party.